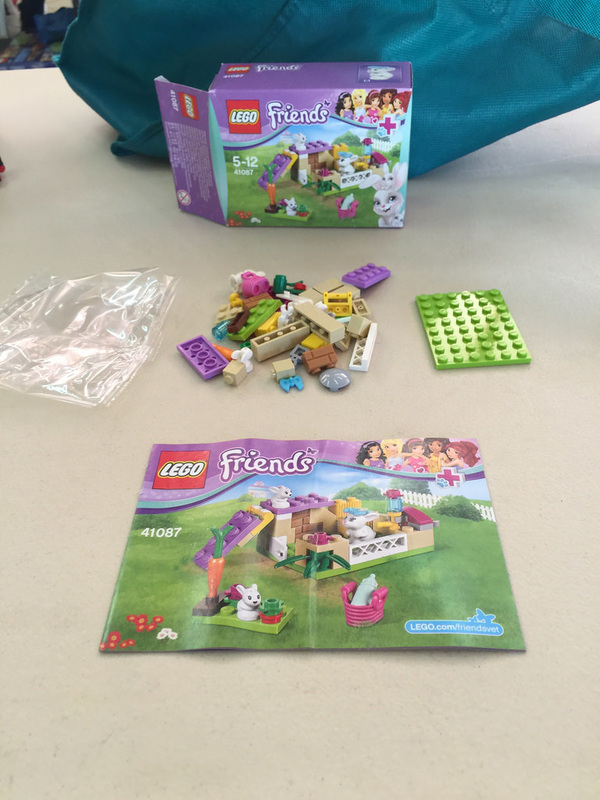 This set is very unfamiliar territory for me, as I’ve never bought any Friends sets before! It’s a very simple set, but I thought it was worth reviewing seeing as I have never done one. This set is part of the Vet sub-theme of Friends. These usually have some smaller sets with different animals in them. They are good to get for parts boosting and animals. Out of the box you will get one small bag of parts, a loose 6×8 plate in bright yellow-green, and an instruction booklet. There isn’t all that much to look at with the parts, as there are so few, but there are a few nice inclusions. First up is the feeding bottle. It’s interesting that they have included this as there are no mini-dolls in the set. It’s new to 2015, but not unique to this set. 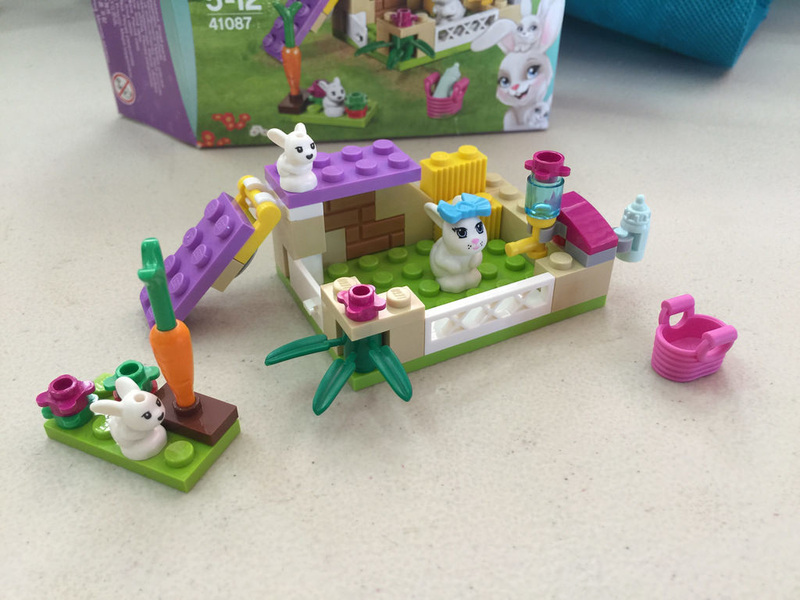 There’s a soft plastic basket in bright purple a couple of 1×2 profile bricks in medium nougat, and a carrot! 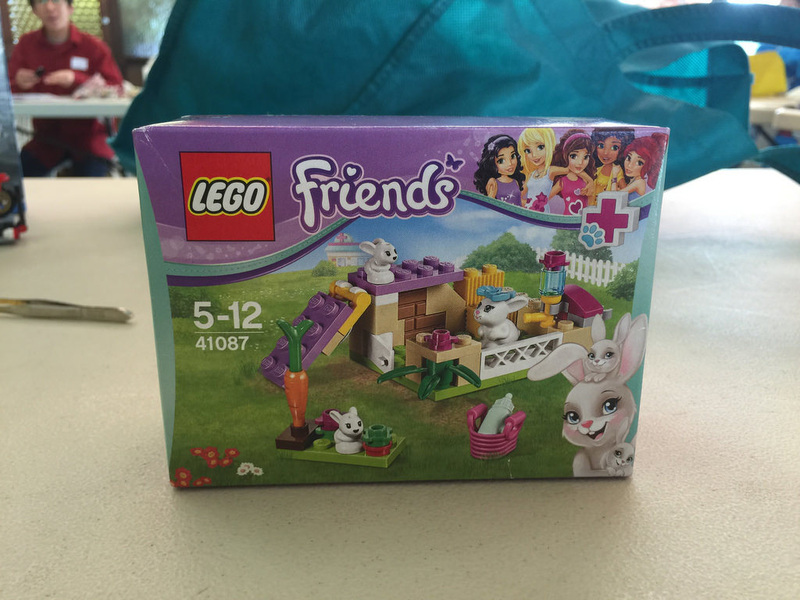 This set also introduces the 6×8 plate I mentioned before, and two baby bunnies. They are rather cute! There is also a bigger bunny in the set. 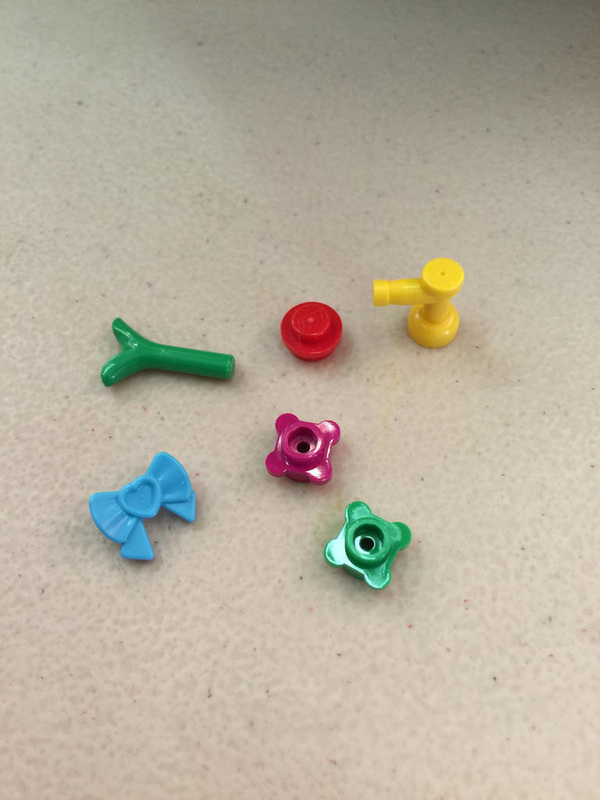 or a small set, there’s some nice spares, including a bow, carrot stalk, and some flowers. The build is extremely basic, no special techniques at all here. I do like the brick built feeder though. it adds a nice touch! And that’s it! It’s pretty simple, but a good set to add some interesting parts to your inventory. This one gets 6 out of 10 carrots. It’s a very basic build, so no special points for that. Not bad playability wise, and some good parts in there, but only a few. To make up for such a small review, next week I’ll be reviewing the brand new 10247: Creator Ferris Wheel! If you have anything else to add about this review, please leave a comment, and don’t forget to like us on Facebook.